What happens when Ricks’ favorite thrift store has a 50% off sale? We go on an adventure! For four hours (you read that right — FOUR HOURS! 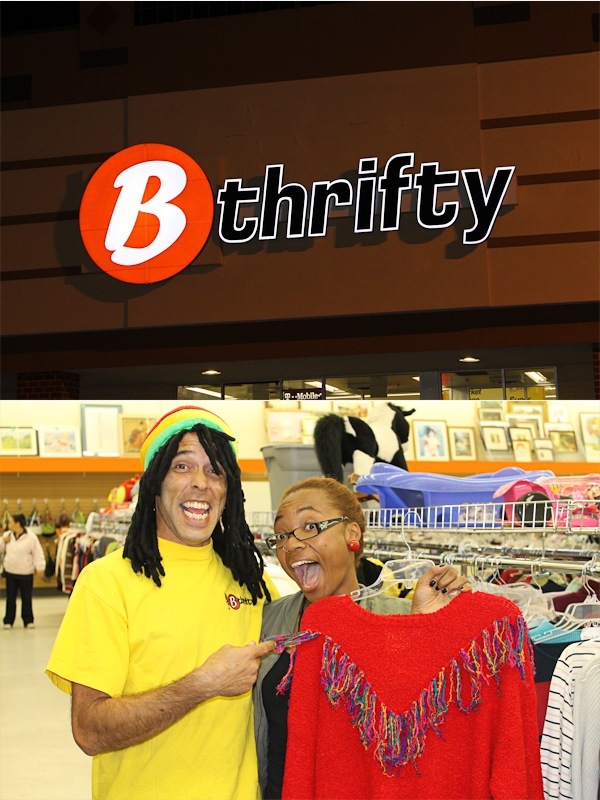 ), we raided the racks of B-Thrifty, a huge, well organized store in Woodbridge, VA. Talk about two kids in a candy store! 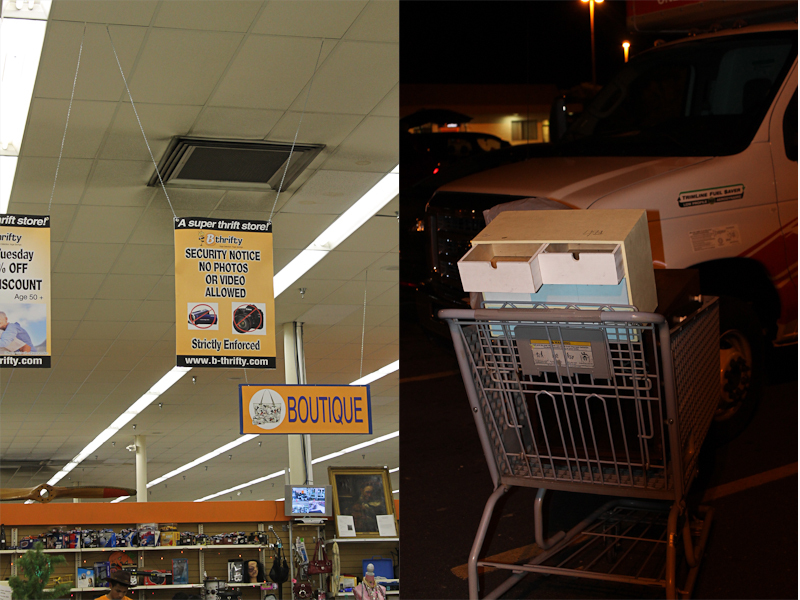 Even before the discount, the prices at B-Thrifty are great, but the extra savings was a great incentive. At the end of the day (and we do mean end at 8:15 p.m.), we each spent $32.55 (and we didn’t do that on purpose…serendipity!) Check out some of the fun we had! 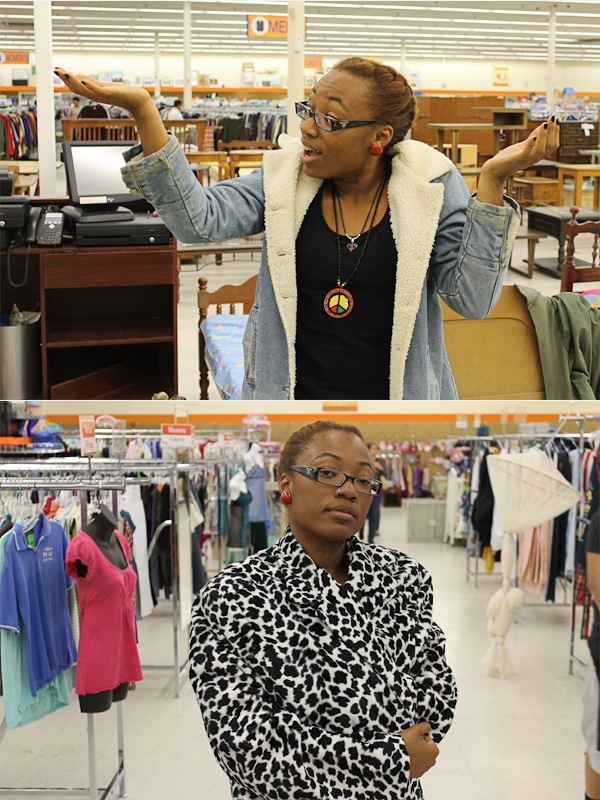 Gotta love a thrift store where the staff has fun too! Not much luck with the coats and jacket…one is too furry and the other’s sleeves are too short. 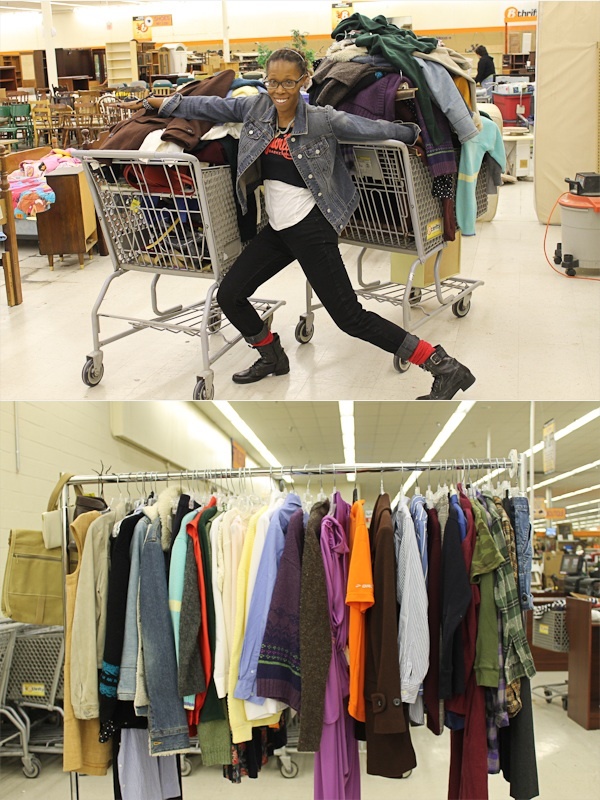 50% off + well organized thrift store + Too Thrift Chicks = Two overflowing carts and a large discard pile. Every successful thrifting adventure ends with hard choices. We had to leave these finds behind. Ooops! We didn’t know we couldn’t take photos! Bye Bye, B-Thrifty! See you Next Month! 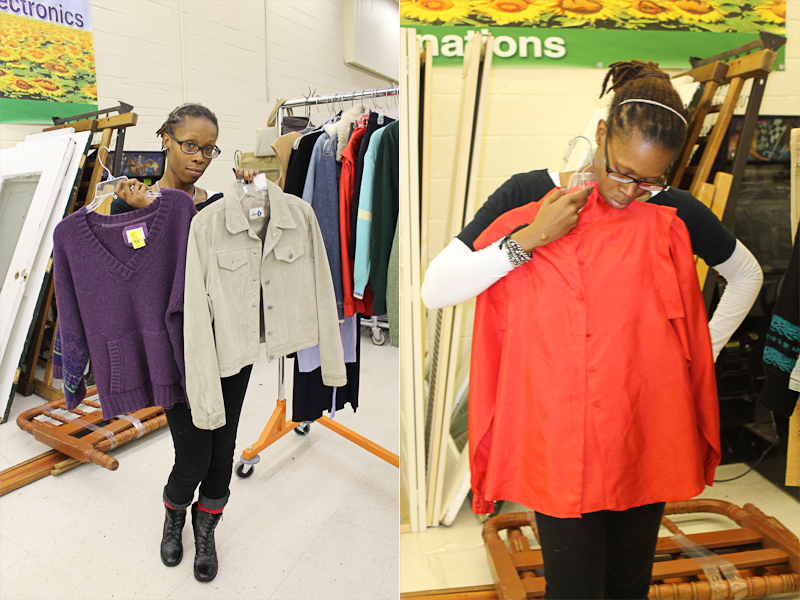 Categories: Thrifting, Uncategorized | Tags: B-thrifty, discount, thrifting | Permalink.